Last week, Donald Trump officially became the Republican nominee. I knew it was coming, but that didn't make me feel any less terrified. Then this week, Hillary Clinton made history by becoming the first female nominee of a major political party in the United States. To summarize: Trump scares and infuriates me, so Clinton is the clear choice in November, right? It's actually not that simple. Why am I — and so many others — reluctant to support Clinton now? A big part of the answer is that Clinton needs to hold herself accountable for past actions to prove that she will actually enact the progressive policies she claims to champion. In voicing these opinions, I've had a lot of people tell me that Clinton is not as bad as Trump, and that it is a privilege to be able to vote for a third-party candidate. It's true that Trump's rhetoric is dangerous. He is a fascist who seems to be running to be a dictator rather than president. He is friendly with other dictators, and has made some dangerous remarks about Russia. He incites violence at his rallies and has the endorsements of white supremacists. He has made a number of racist, xenophobic, and Islamophobic comments, and has proposed disastrous immigration policies. There is absolutely no doubt that Trump is a dangerous man whose supporters are perhaps even more dangerous. But I don't view Clinton as the lesser evil. I know that to some folks — even to those who have supported Vermont Sen. Bernie Sanders and who have long been critical of her — that may sound utterly preposterous. Shouldn't I hold off on my criticism until after the election, to ensure that Trump doesn't win? No, I don't think so. It's not fun for me to watch my communities and the communities I care about being torn apart by destructive policies, and what I really want is for Clinton to hold herself accountable for her role in these policies. One of my main reasons for being skeptical of Clinton is that although Trump talks a lot, Clinton has a track record of instituting and supporting policies that have been disastrous for black and brown communities, both at home and abroad — what is going to be different now? 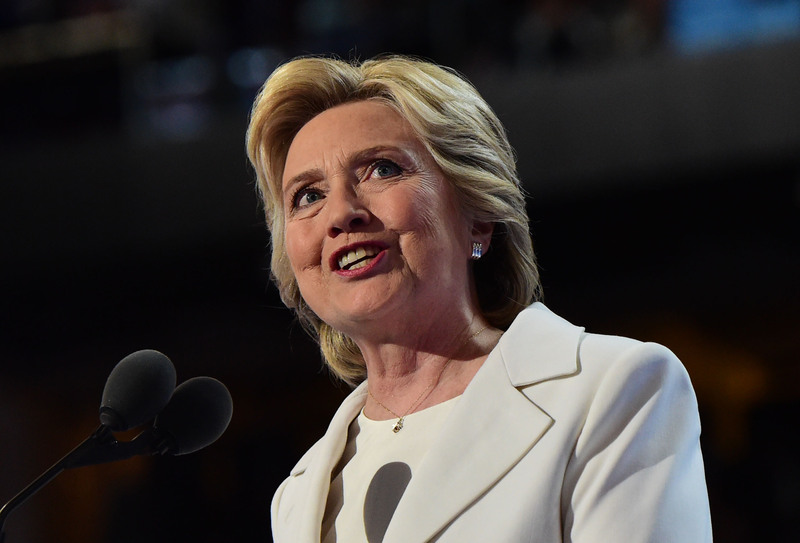 Clinton has repeatedly condemned the Boycott, Divestment, and Sanctions movement. Even though she has taken a more nuanced view on Palestine and Israel in the past — she once voiced opposition to settlement expansion and as First Lady attended a speech by Suha Arafat — Clinton more recently has taken a hardline stance that involves protecting and defending Israel with seemingly little criticism. Opposing BDS is not the only problem. On the issue of climate change — which disproportionately affects indigenous and low-lying coastal communities — Clinton will not outright condemn fracking, calling instead for certain regulations that many environmentalists say are not sufficient. We also must consider her past treatment of marginalized communities. As Michelle Alexander wrote earlier this year, Clinton's support of the 1994 crime bill, her use of the word "superpredators" to describe black children, and her characterization of a bill that slashed welfare funding as successful are all justifications for why people of color might not want to vote for her now. And then there's her hawkish foreign policy, which has had grave repercussions. Honduran indigenous rights and environmental activist Berta Cáceres was murdered in March, but before her death, she said she warned that Clinton's efforts to impose elections would be dangerous, and that they legitimated and institutionalized the 2009 coup. Like Trump, Clinton advocated for regime change in Libya. In 2014, she said that undocumented immigrants who are unaccompanied minors should be sent back to their home countries, despite also arguing that they should be reunited with their families — who were sometimes already in the United States. As secretary of state, Clinton frequently supported the use of force. In 2012, she reportedly suggested that the U.S. government covertly provide arms to vetted Syrian rebel groups fighting Bashar al-Assad's government; Obama disagreed, because the weapons ultimately could have ended up elsewhere. These are just a few examples. Clinton may have a lot of experience in foreign policy work, but that doesn't mean it was all good. Some analysts have referred to a Clinton presidency as a third Obama term, and Clinton has made it quite clear that she wants to carry on President Obama's work. Which part of his work, exactly? The record number of deportations that have been orchestrated under his administration? The drone strikes that have killed so many civilians? Don't mistake what I'm saying — Obama's presidency was historic in its representation, as a Clinton presidency would be — but representation is unfortunately not enough to stop oppression in its tracks. I understand why some people look up to Clinton. She has worked hard to advocate for reproductive rights. She has been a staunch supporter of paid family leave. She has opposed Arctic drilling, and wants to phase out fossil fuel development on public lands. She wants to serve as an inspiration for young women who started believing that a female president just wasn't possible in their lifetime. What's more, she and her husband have expressed regret over policies like the crime bill. But regret isn't enough to bring people's lives and livelihoods back. What we need right now is accountability. We need Hillary Clinton to release the transcripts of her paid speeches. We need her to stop opposing BDS. We need her to advocate for removing corporate money from politics. But most importantly, we need her to own up to her past mistakes, and explain why we should trust her now. As things stand right now, she's only a lesser evil if — as Steven Salaita tweeted — we consider Palestinians lesser human beings. She's only a lesser evil if we don't prioritize the lived experiences of black and brown communities. She's only a lesser evil if we don't value the lives of those people both at home and abroad who have been hurt by her policies. Like I said, it's not fun for me to say these things. It's not fun to realize that the two major-party candidates in this election are both dangerous in their own ways. But I'm writing these things because what I want more than almost anything else is for Clinton to tell us what's going to be different this time around. There was a lot of representation at the Democratic National Convention, from the Mothers of the Movement and civil rights activists to undocumented immigrants and Muslim parents. It was a total contrast to everything Trump stands for, and I'm glad that these are the people that Clinton has been talking to, the voices she's been amplifying. But that's still not enough. Maybe she really is running as a progressive now, and maybe she wants to do the right thing. She cannot, however, erase what she did in the past, and to be a progressive is also to acknowledge one's previous actions. Accountability is critical to democracy. I firmly believe that a two-party system cannot work, and it does not leave room for an ample amount of perspective. But I also think that at least one of the two major-party candidates should be fighting for progressive change, and not just to appeal to center-right white moderates. Madam Secretary, I don't write these things to discredit you, but to push you to do the right thing here as you clearly want to do. Take responsibility for your actions. I can't believe or accept your intent to challenge police brutality and mass incarceration, to fight for human rights, to stop ICE raids and support undocumented people, to lift up the voices of people of color, unless you publicly take a long, hard look at your political career and reconcile it with the progressive policies you claim to champion.